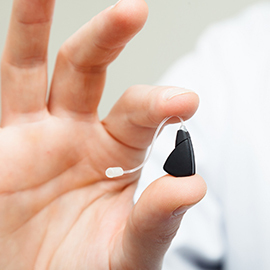 A new law will soon give people with certain degrees of hearing loss the option to purchase hearing aid devices over the counter. 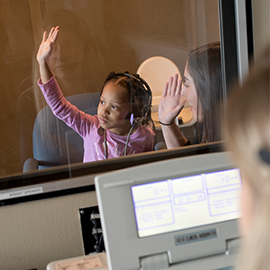 Dr. Rebecca Blaha, lead audiologist at the Pennsylvania Ear Institute (PEI), explains the effect the bill will have on those who suffer from hearing loss, as well as the effect it will have on the audiology profession as a whole. 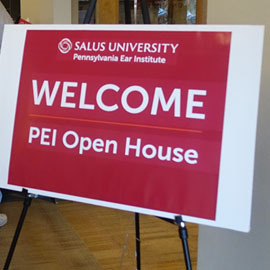 The Pennsylvania Ear Institute (PEI) of Salus University recently hosted its second annual Fall Open House on Saturday, October 20. 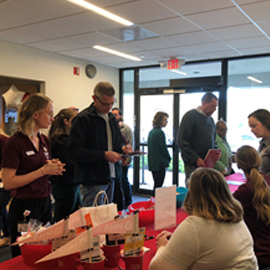 Students and faculty were on-hand to educate members of the community and raise awareness about healthy hearing and balance. The #PeopleofPEI series features a mini Q&A with faculty, staff and students of the Pennsylvania Ear Institute (PEI). 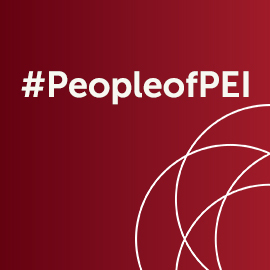 Check out the highlights below to learn more about some of PEI’s most familiar faces. September 22 marks the official start of autumn. Don’t let hearing loss make you miss the festive sounds of the fall season.